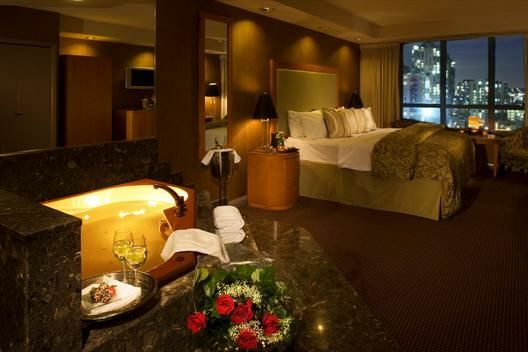 Welcome to Downtown Vancouver's boutique hotel for wine lovers. 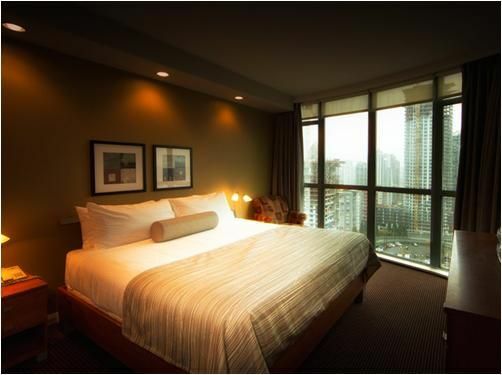 The Executive Hotel Vintage Park and La Vallee Restaurant is situated in one of downtown Vancouver's best neighbourhoods just minutes from Granville Street, Davie Village, Robson Street, Yaletown, Granville Island and the city's breathtaking 22-kilometer Seawall. The Executive Hotel Vintage Park's designer rooms and suites have been created with premium furnishings, sparkling new bathrooms and an impressive list of in-room amenities including HD flatscreens, free wireless, free in-suite espresso machines, fully stocked bar fridges and more. 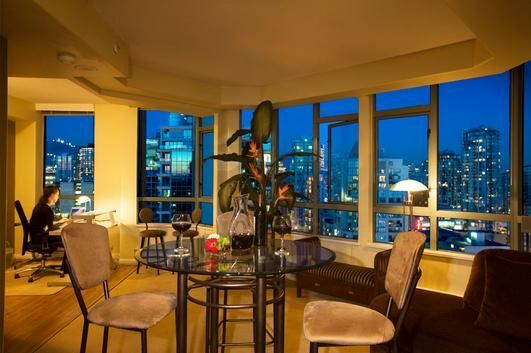 We feature an exclusive landscaped 9th floor sun deck overlooking the city, and a lush 9th floor skyview hot tub oasis. We even offer upgraded Presidential and Executive Suites with full gourmet kitchens, floor to ceiling glass and expansive living rooms.